Medical malpractice (more correctly referred to as medical negligence) occurs when a healthcare provider, in acting or failing to act, does not comply with the standard of care in the pertinent medical field. It includes misdiagnosis, the failure to provide appropriate treatment or a delay of treatment. For example, medical malpractice may happen when a patient is not properly taken care of during surgery, when a doctor fails to read test results, when medicine is improperly prescribed, or when a patient is not adequately monitored while in the hospital. The standard of care required in medical malpractice cases often depends on the state in which the malpractice occurred and the area of medicine. As a result, it is best to consult a medical malpractice attorney that is qualified, experienced, and successful to determine if you have a meritorious case. For more than 60 years, the Chicago medical malpractice attorneys at Corboy & Demetrio have represented hundreds of individuals injured and families of those killed as the result of negligent treatment by doctors, nurses, hospitals, and other health-care individuals and facilities. Our medical malpractice team consists of five highly experienced and successful attorneys and two experienced registered nurses dedicated exclusively to the evaluation, preparation and trial of these cases. 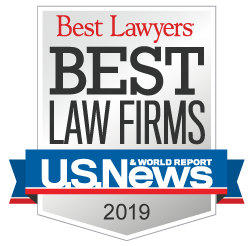 Our success in representing victims in personal injury and wrongful death cases has been exceptional - we have acquired more than $4 billion in settlements and verdicts, of which nearly 600 were in excess of $1 million. A record-setting $22 million verdict for the surviving family of a young mother who died after giving birth when the doctor and nurse failed to properly treat her high blood pressure. A settlement of $19.5 million for the failure of Evanston Hospital to properly treat a stroke. After an eight day jury trial in Lake County, Illinois, a record-setting $6 million verdict for the wrongful death of a woman who died while receiving anesthesia. A $16.5 million record verdict - the highest jury award in an obstetric medical malpractice case in Cook County at the time it was rendered - on behalf of a young girl who suffered brain damage at birth due to the negligence of a suburban Chicago hospital and obstetrician. Two multi-million settlements achieved right before final arguments to the jury - $17.5 million for a young woman who suffered a hemorrhagic stroke when a large aneurysm ruptured after an emergency room physician failed to diagnose a "warning leak" and $20 million for permanent brachial plexus nerve injuries suffered by a baby during delivery. To consult with a Chicago medical malpractice lawyer at Corboy & Demetrio, call 312.346.3191. We are available 24 hours a day, 7 days a week. MedMal Matters: Negligence with Consent? MedMal Matters: Defensive Medicine or 'Defensive' Medicine? MedMal Matters: Should a Contract Trump the Constitution? MedMal Matters: Automated Surgery - A Good Idea? Kenneth T. Lumb was interviewed about medical malpractice litigation for the healthcare newsletter article, Were Staff Unfamiliar with ED Policies?